Today’s Detroit column begins in New York City with Detroit on my mind—always on my mind. I have a friend who had the opportunity to purchase a house in the Meatpacking District of New York City. The Meatpacking District, despite the off-putting sound of the now-anachronistic name, is the hottest neighborhood in Manhattan. This is the view of Brian Regan, Deputy Director of the Morgan Museum and Library, who was instrumental in obtaining the services of Renzo Piano to design the new Morgan. Regan believes Piano’s new Whitney may become the most popular museum in New York with more visitors than the Metropolitan Museum of Art. My plan is to make the Morgan my headquarters, for reporting on Renzo Piano’s most recent New York City project. Also, I am hoping Regan will be available for commentary as I report from 34th Street and Madison Avenue on the new Whitney as West as you can reasonably get in Manhattan and considerably south. Simultaneously, I will be on the Detroit beat, comparing Detroit to New York. Photograph before and after courtesy of the much-accoladed: Frank Prial, Jr; Beyer Blinder Belle, the New York-based Executive Architects for the Renzo Piano Morgan Library and Museum. 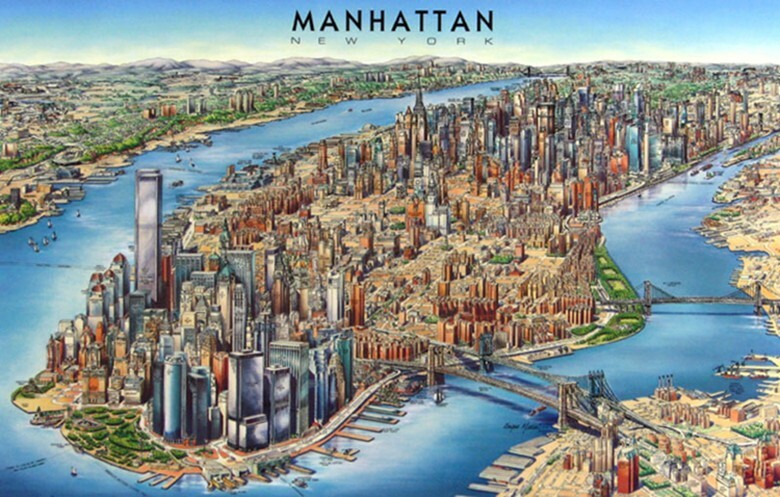 Dated three-D map of Manhattan courtesy http://www.vidiani.com. The Piano Whitney is to the left along the Hudson River slightly north of the former Twin Towers. The Brooklyn Bridge to the immediate right crossing the East River currently painted: “Move to Detroit.” If you can find Grand Central Station, up north where the buildings cluster, the Morgan is close by at 225 Madison Ave (36 Street). North of the Morgan, in the fashionable Upper East Side, former home of the Whitney, formerly@ 945 Madison Avenue (75th Street). The administrators of the Whitney would have preferred to stay at the Upper East Side but costs were too high. Photograph by Joel Solkoff. This is the Upper East Side where the Whitney Museum of American Art could not afford to expand. 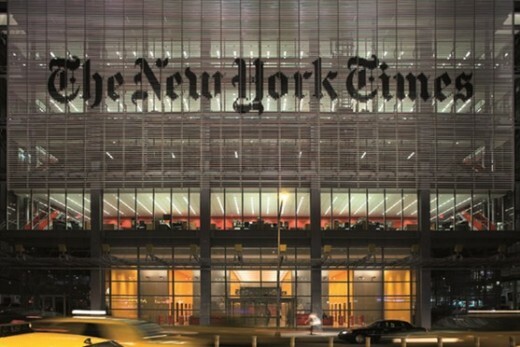 Instead, Baby Boomer patients like me have created a hugely expensive medical center at Memorial Sloan Kettering Cancer Center where skyscrapers filled with experts with expert equipment pursue the process of surviving cancer including sexual counselling and pain reduction advances that are state of the art. This photograph was taken after I was released from the hospital where I had kidney surgery traveling past Sloan’s huge expanse driving back to the American Cancer Society’s Hope Lodge where I hope to stay on this upcoming visit. 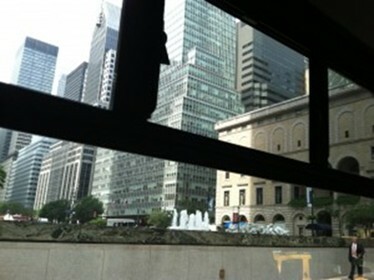 It is to relieve serious pain that I will be coming to New York rather than Detroit where I long to be. On August 24th, the day after I attend the Whitney press preview, I have an appointment with Dr. Paul Russo, the surgeon who saved my life and right kidney in August 2013 after my visiting the Piano Morgan and soothing my soul. My hope is to have inserts surgically implanted that will sooth my spinal nerves with radio waves (preferably playing Mozart) rather than rely on high dosages of Oxycodone, a drug I would prefer to stop using. 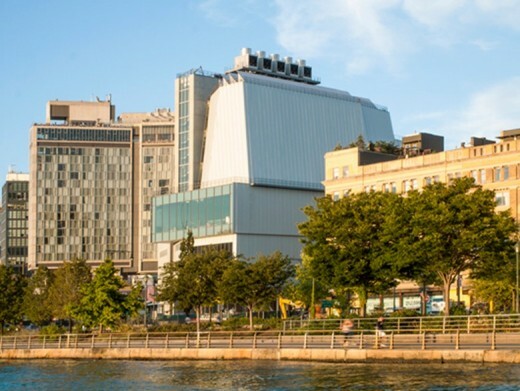 Combining a week of cancer experts and possible hospitalization, I will be reporting on Renzo Piano’s Whitney within the context of community building. One remote but not outlandish treatment hope is that at Sloan Kettering, I can have inserted a Bioness Corporation device which beams shock waves to patients like me who have foot drop. Some patients walk again. Thus, twice implanted, I may be able to leave New York City walking for the first time in 25 years and pain free. All is contingent on securing funds. Forbes Magazine recommended a crowdfunding service that could be valuable to architects starting small projects. The service is called: Indiegogo. Architects might want to subscribe for free to the newsletter at newsletter@indiegogo.com Here is a recent newsletter for one of many businesses requesting venture capital and using Indiegogo to get it. I will be comparing New York to Detroit pointing out the advantages of moving to Detroit. I also will be investigating Newark, New Jersey, a subway [PATH ride] away. Newark has the advantages of being cheap, close to an International airport with wide-bodied planes to accommodate my medical equipment and close to family, friends, and the Morgan in NYC. 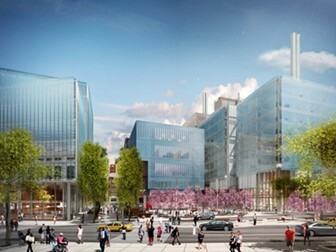 Photograph of Renzo Piano’s design plans for the Columbia University Manhattanville extension courtesy Columbia University. On May first, Renzo Piano’s Whitney Museum of American Art in the Meatpacking District of New York City opens with e-architect coverage. This photograph courtesy of the Whitney faces East showing the Hudson River, Highline Park, and construction equipment which will be gone by then. A major design feature is the absence of columns within the museum making it possible to see all art in the room without one’s view being blocked. When the Whitney looked for a new place to expand, its upper echelon administration did a superb job of picking a new site: 99 Gansevoort at Washington Street in the West Village/Meatpacking District neighborhoods of lower Manhattan. Thereafter, you can imagine my friend’s sense of regret at not purchasing a home walking distance to the Whitney 15 years ago. The unbought-house is a quick elevator ride to the Highline, the astonishingly beautiful new park with a dramatic view of the Hudson River. I love the Hudson River. 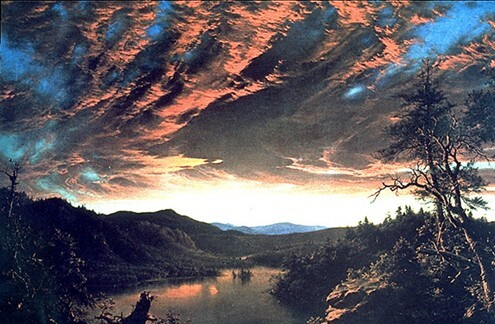 Frederick Edwin Church, “Twilight in the Wilderness” (1860), photograph courtesy of http://www.history.vt.edu/Barrow/Hist3144/readings/hudsonriver/. This website is devoted to the course The Hudson River School: Nationalism, Romanticism, and the Celebration of the American Landscape. Church was a member of the Hudson River School. 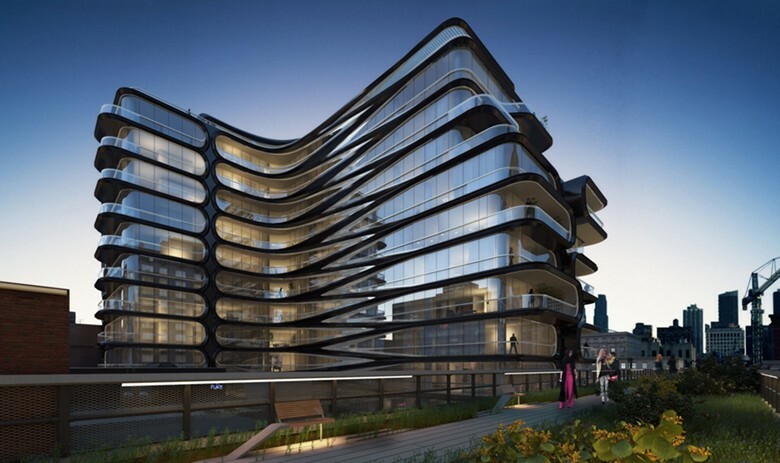 Photograph of Zaha Hadid’s high rise condominiums at 52 0 West 58th Street courtesy Roger Howie, Zaha Hadid Associates, London. 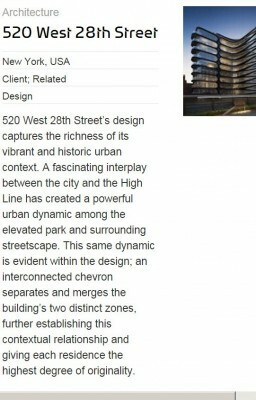 Screen shot below of the Zaha Hadid entry on this high rise by Joel Solkoff. I have not forgotten the importance getting to Detroit subject of today’s column. Quickly below is a link to WRCJ-FM Detroit. 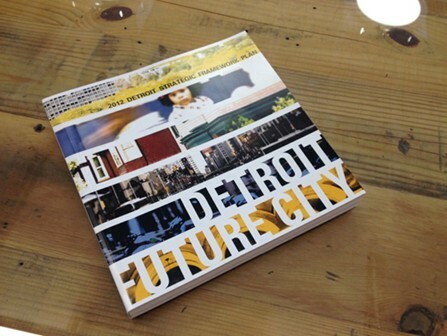 I would like to believe Dan Kinkead who wrote the 350-page report Detroit Future City and the staff of Detroit Future City implementing Detroit’s Future are listening to Mozart as they work. 2. When given a choice, choose Media Player. 3. Media Player then asks whether you trust the source. Click O.K. Life is full of regret. My friend’s regret is the regret of those who had an opportunity and missed it. After months of reporting about Detroit, I am convinced now is the time to invest in Detroit. If you invest in Detroit, now you will have no cause for regret. However, moving to Detroit is not for everyone. I was last in the Meatpacking District of New York City in August of 2013. The prestigious Gagosian Gallery had a Renzo Piano exhibit. Graciously, the Gagosian kept the concluded exhibition in place so I could see it. Baby Boom rationale for Joel’s column: The Baby Boom generation, the largest generation in U.S. history, is retiring at the rate of 10,000 a day. This generation, my generation, will be determining a significantly high percentage of the important building contracts for the next ten years. As a generation, we have more money and power than any other generation. We have not flexed our muscles yet. But we will soon. The column’s focus on a significant segment of the Baby Boom Generation, those of us who did not inherit wealth or earn it. My segment is referred to as the Sandwiched Baby Boomers. We earned well but supported both our elderly parents and our children leaving no money for retirement savings. My income from social security after deducting for Medicare is less than $1800 a month. My rent is $900 a month. If I earn the $5,000 required to fix my teeth, doing so will nullify my lease because my landlord receives a tax break for providing “low income” housing. The rules are strict. If I earn a significant sum, I am automatically evicted in a community where two bedroom apartments like mine are renting for $5,500 a month. Since I have to move, where? If I move to Pontevedra, Spain, where my younger daughter Amelia Altalena lives, a beautiful wheel-chair accessible two bedroom apartment runs for $200 a month. Plus it is in a dramatically beautiful location. If I move to Detroit, I suspect, the rental will be significantly lower than where I live, plus Detroit has an international airport. Given my medical equipment, I require an airport with wide planes. 1. I not be required to live in an apartment building which houses the elderly and disabled exclusively. The best living arrangement is one that includes all generations, especially children. 2. I have the ability to earn income rather than be dependent on assistance. 3. Society at large understands that just because I have severe health problems does not mean I cannot be productive. What is the good news from corporate Detroit? This column [finally, I have arrived at the starting gate] is about the impressive activities taking place in corporate Detroit, hence the cover photograph courtesy of Detroit Future City. Photograph Executive Director Detroit Future City (DFC) Kenneth V. Cockrel courtesy of DFC. 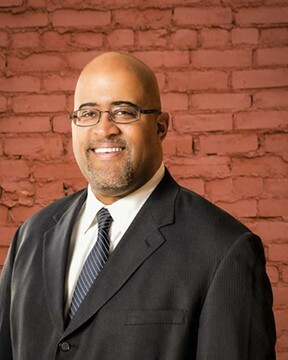 Detroit Future City has as its executive director Kenneth V. Cockrel, Jr. Cockrel is a respected former mayor in a city that has little respect for its mayors past and present. Cockrel is charged with coordinating better communications among industry, government, and citizens in general. Cockrel is guided in his efforts following a strategic plan that took years to put together. 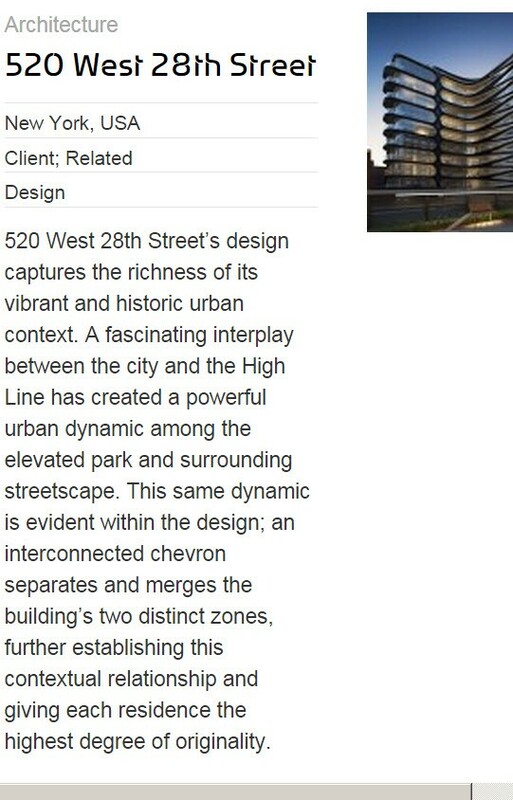 The author is a distinguished architect Dan Kinkead, Director of Projects. “Dan, the DFC site notes, “has worked with the DFC Implementation Office since its inception, wherein he led the initial process to build the implementation team, secure operational funding, develop the organization’s steering committee and spearhead its first set of projects and initiatives. 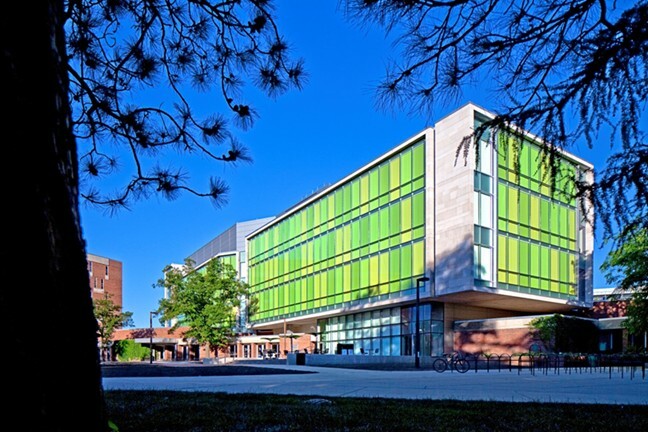 Language Arts Building for Michigan State University, a project Dan Kinkead designed at Hamilton Anderson Associates (HAA). Photograph courtesy HAA. 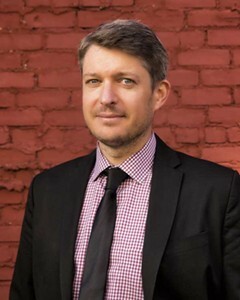 Before joining the DFC Implementation Office, Dan, a graduate of Harvard University with a masters of architecture in urban design, was a design principal with Hamilton Anderson Associates (HAA), where he led the design studio for architecture and urban design, and lead the team that assembled the 350-page DFC Strategic Framework report that serves as the platform for transformation in Detroit. Before HAA, Dan worked in New York as an urban designer with Skidmore Owings & Merrill (SOM), in New York, where he was project interface between SOM and Renzo Piano Building Workshop on Piano’s Columbia University Expansion. I am tired of looking at photographs of burned out Detroit—a city of ruins. I will make sure future photographs in this series show you, instead, photographs of a happy Detroit, an economically growing Detroit. 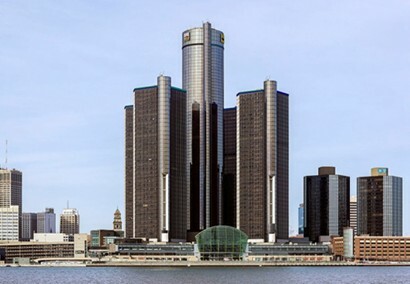 Photograph courtesy Wikipedia which notes: “The Renaissance Center’s modernist architecture balances the city’s panoramic waterfront skyline, a frequent feature in photography taken from the Canadian city of Windsor, Ontario. From the top of the Renaissance Center’s Coach Insignia restaurant, patrons peer down upon the neogothic spires of One Detroit Center and city’s Financial District skyscrapers and stadiums. The Renaissance Center, originally designed by noted hotel architect John Portman, has become a city within a city and worthy of discussion in a future Detroit-series column. For now, the column ends with a Detroit asset worthy of comment. Detroit has plenty of fresh water. At a time when California is limiting water use, businesses requiring water for their operations will find Detroit comforting. Finally, in a long telephone call, Dan Kinkead expanded on the value of this resource discussed in his Plan. Detroit has 20 percent of the world’s fresh water supply. Brought in from the Detroit River into the city, the water is potable and is as free from pollutants as most any U.S. city. 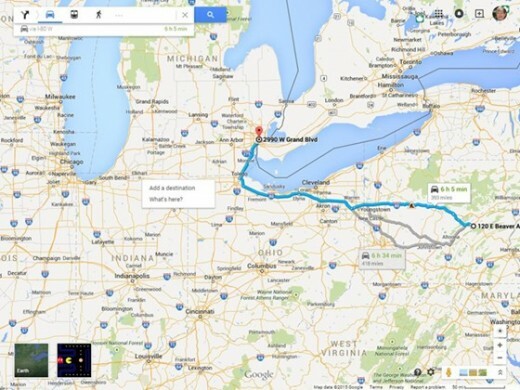 Below is a map showing Detroit within the Great Lakes Region of the U.S. surrounded by an abundance of water. 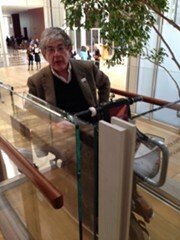 Here I am at the Morgan riding the disability friendly elevator to the Library. Photo published by permission of Kathy Forer. This column copyright © 2015 by Joel Solkoff. All rights reserved.